The fireworks in the neighborhood didn’t keep me awake, much. I was tired. I am tired. 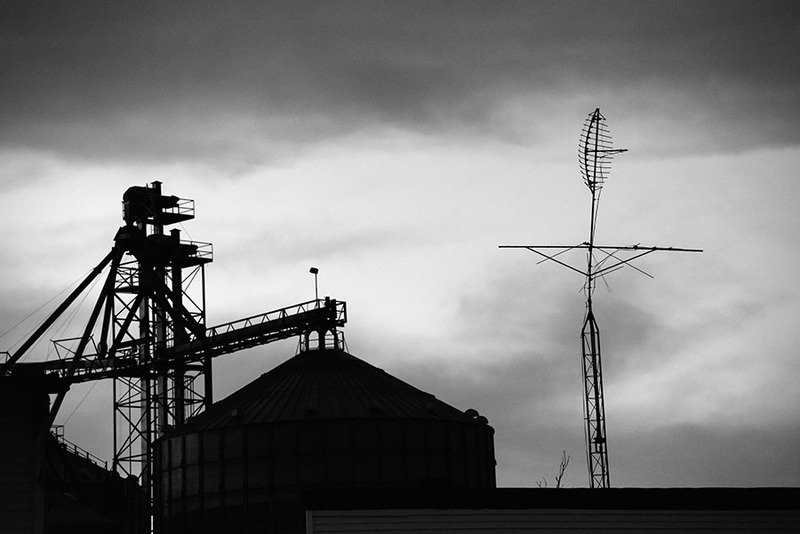 Working on a 100-page book about the county where I live and work is a wearisome, worrisome task. It has consumed me for three months now, and it will continue to consume me for the next six weeks, when finally I turn over to the printer the data that will become a book. My summer will begin when that project is done. 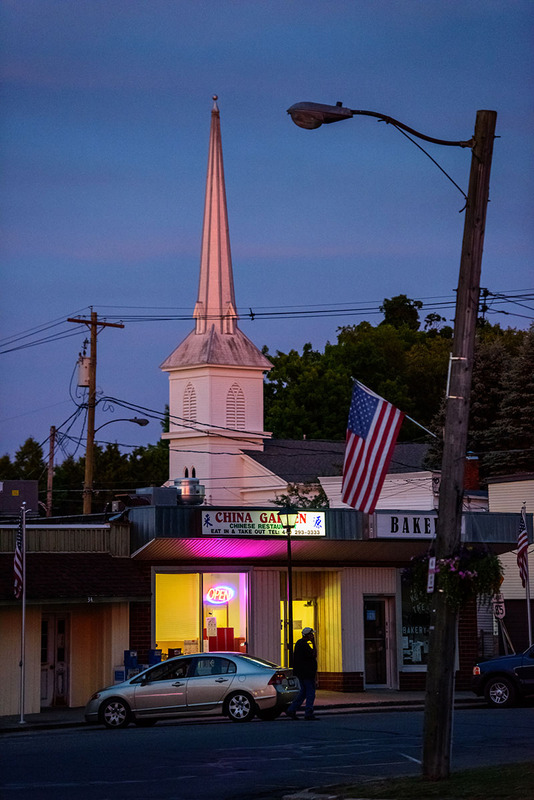 Researching, writing and photographing “Ashtabula County: A Field Guide to Where Great Things Happen” has forced me to revisit the places I thought I knew and rediscover them again, to update my mind and points of reference even as I update a book. In Kelloggsville, there is a fine field of wheat. 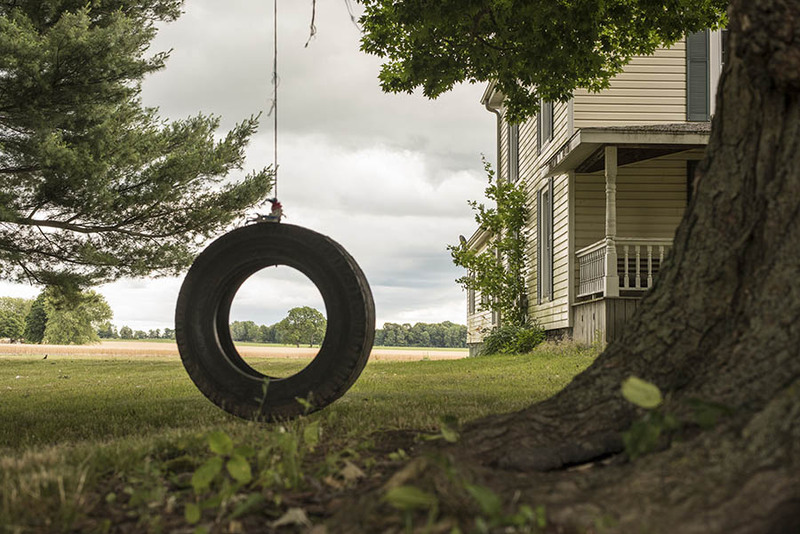 And the old tire swing in the yellow house at the crossroads. I had not been to Raceway 7 in Monroe Township in 30-some years. Not much has changed. It’s still dirty. Noisy. People eat unhealthy food there. Drink beer from cans. 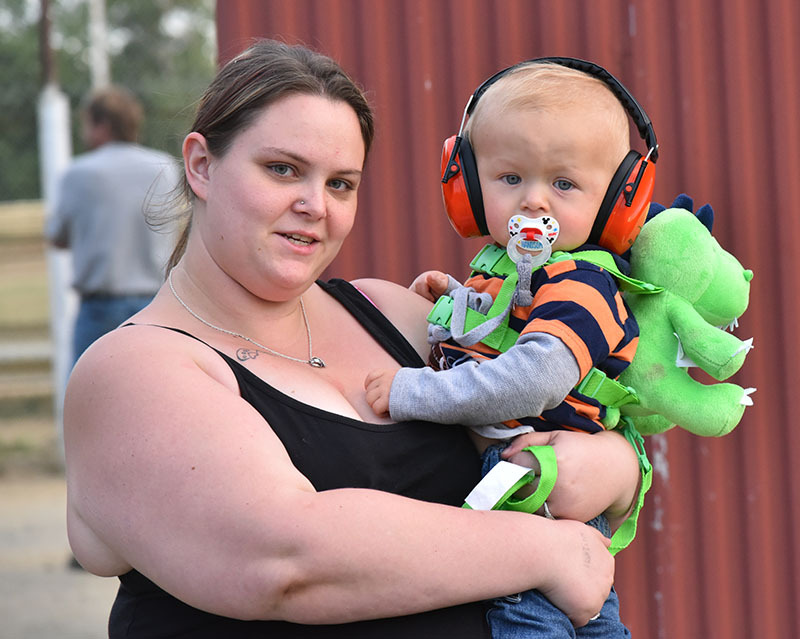 Make their little ones wear big ear muffs, the kind I should have worn when those hoodlums tossed the firecracker into the concrete porch and destroyed much of my hearing. 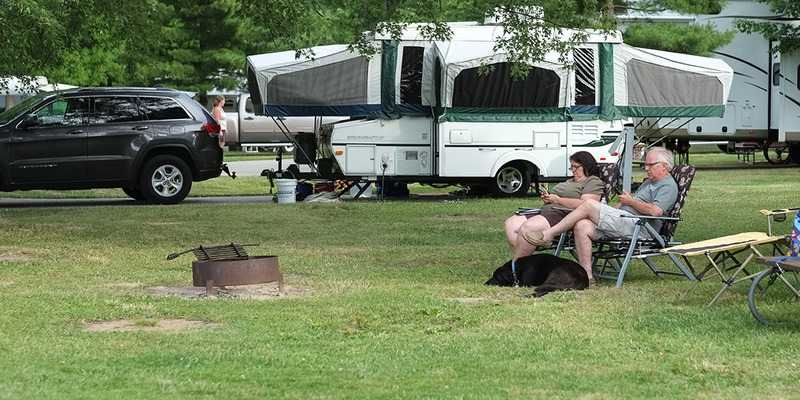 The campground at Pymatuning State Park is beautiful. For a brief moment, very brief, I thought I’d like to try camping again. Then I remembered that thunderstorm at 4 a.m. and sleeping in the car … besides, most folks there my age had their faces in an LCD screen with their black Lab by their side. I can do that home. Richard Gillespie has a good sense of humor. 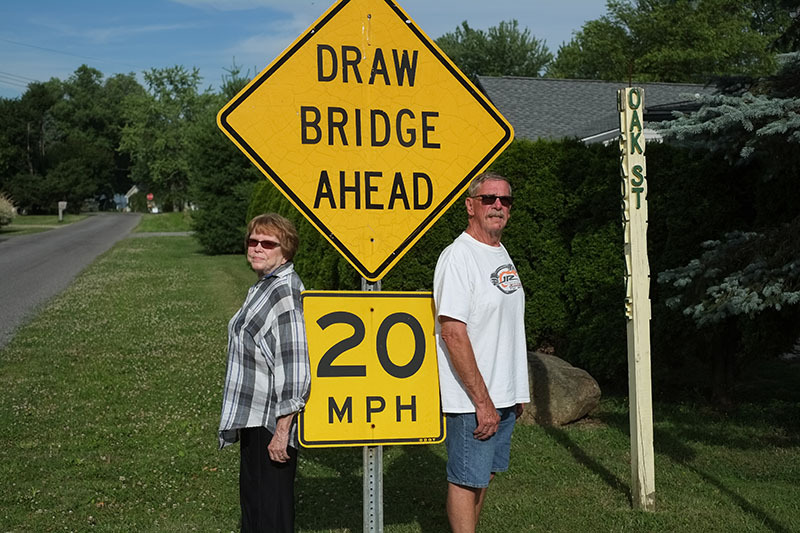 Put up a sign on the road at Penn View on Pymatuning Lake: Drawbridge Ahead. 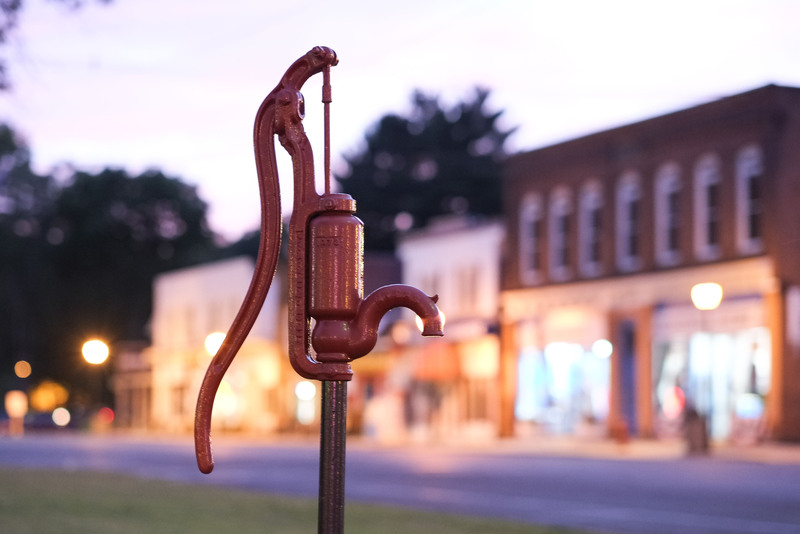 There is a hand water pump in the town square at Andover. 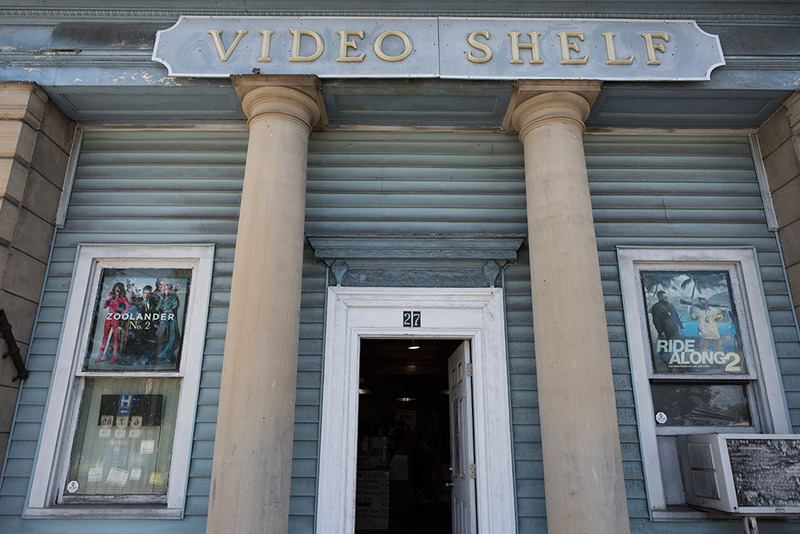 The old bank building is home to a video rental store. Yes, you can still rent DVDs and Blu Ray discs in Andover. And they were quite busy. And there also is a real movie theater on the square. A single-screen, digital theater. 138 seats, and most are filled on Thursday nights when admission is just $3. And a Chinese restaurant that serves chop suey as late as 9 p.m. on a Saturday evening. A young Chinese boy of about 12 or 14 takes your order. He is very polite. I dare say he is the most polite and courteous young person I have met in years. His sister was very sweet and polite, as well. I assume the petite lady who served my meal is their mother. And she was very polite. And the food, it was good. Steaming hot. Perhaps too many onions for my taste, but at 9 p.m. in Andover, Ohio, on July 2, a vegetarian cannot be choosy about his meal. I do regret eating when I did, for while consuming chop suey and reading one of those free magazines that are stuffed with pictures of used cars, trucks and industrial equipment from the tri-state area, the sky pulled a fast one on me. What a sunset. I should have positioned myself across the lake, in Pennsylvania. It would have been a gorgeous shot. 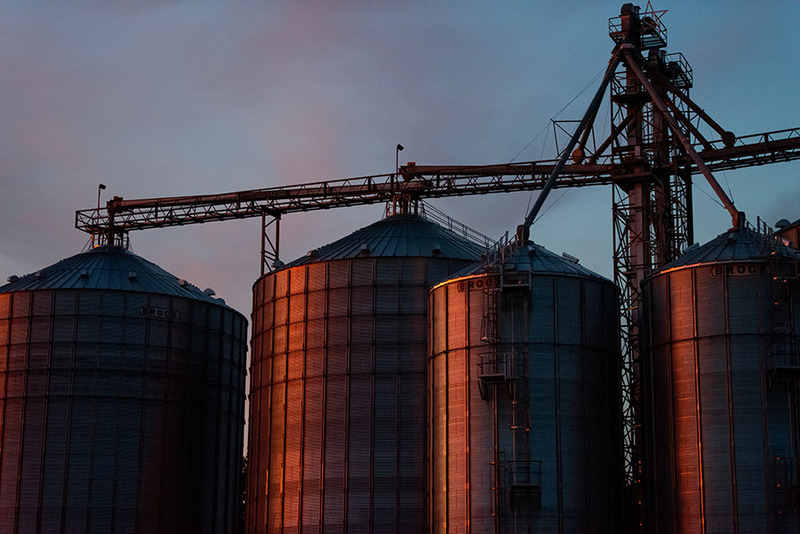 Red reflections on grain silos and the Congregational church’s steeple were my lot. Sometimes, even after working all day, all life gives us are the reflection of a sunset and a plate of chop suey. And I am grateful for both, and the freedom to enjoy them. Writer, photographer, video producer and film collector, Carl E. Feather has a passion for Appalachia and its people and landscape.